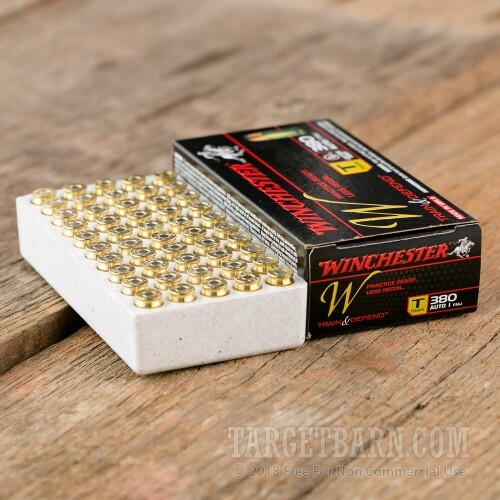 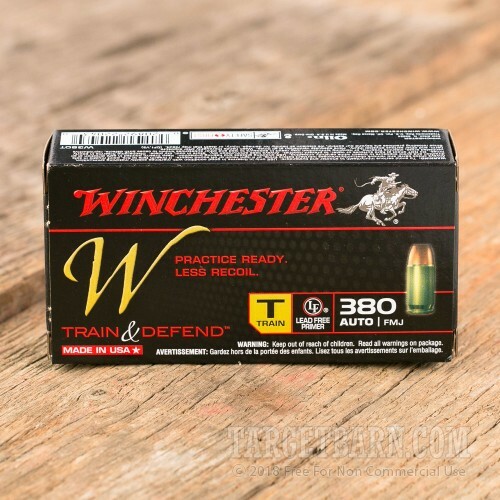 This .380 ACP ammunition from Winchester is part of the award-winning Train & Defend series, which offers shooters matched pairs of ammo designed to produce the same external ballistics and recoil. 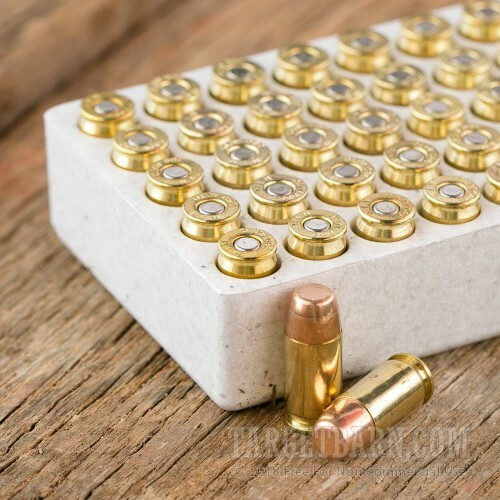 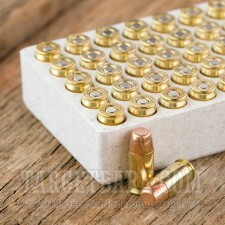 Inexpensive "Train" rounds fire full metal jacket bullets, while "Defend" ammunition uses expanding hollow points suitable for concealed carry. 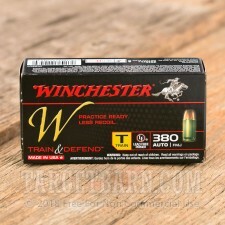 These "Train" cartridges come in a case of 500 and fire a 95 grain full metal jacket bullet at a muzzle velocity of 950 feet per second. 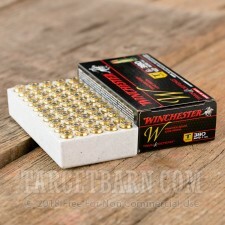 They are loaded in Oxford, Mississippi using non-corrosive Boxer primers and reloadable brass cases.